Weekly classes, either individually or in small groups, are provided by the Club for anyone who would like to learn to play the pipes. Teachers use the LUPC tutor books and pupils can learn to read music if they prefer, although most teaching is by ear and pupils are recommended to bring a recording device. 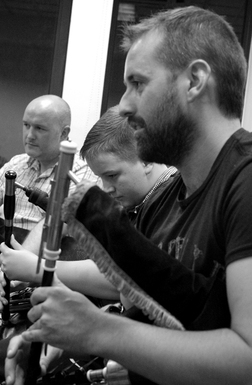 The Club has a limited number of practice sets available for people who would like to try the pipes.